Give the gift of a healthier future. For yourself, and your loved ones. See extraordinary analysis of your heart and its surrounding vessels. 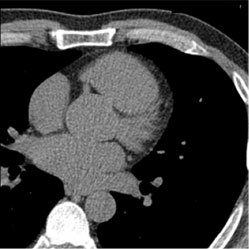 Don’t wait, get a HeartView Scan today. Call 1-866-431-9355 to schedule or order a gift certificate. Is heart disease a part of your future? You can answer this question with a simple test. 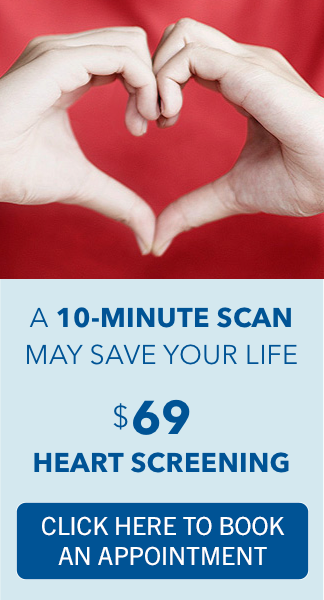 The HeartView Scan is a noninvasive way to detect health problems before symptoms occur. The scan takes approximately 10 minutes and is performed on a state-of-the-art 64-slice CT scanner. 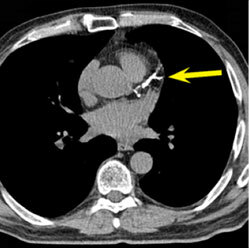 On top: a normal coronary calcium scan of the heart, showing no plaque. On bottom: plaque shows white on the scan. The white is the calcium deposit in the artery, a strong predictor of coronary artery disease.